Have you ever picked a word for the year? I did it last year. My word was JUBILEE. And last year was our family's year of Jubilee. God restored EVERY SINGLE THING that had been taken from us a few years ago. We even decided to name our house "Our Port Jubilee". That word has so much meaning to our family now and I am so glad that we declared 2015 Our Year of Jubilee! I knew I wanted/needed a word for 2016 but I also knew that I didn't want it to be just any word. I wanted it to be a word that would transform my thinking and change my life! I knew that it had to be a word that would impact me not just for 2016 but for eternity. I went back and forth between a lot of words. There are so many things in my life that I have to be thankful for, at the very least 365! God has blessed me with far far more than I deserve and I want to spend this next year thanking him for all of the gifts in my life. My prayer is that my thankfulness will go deep. You know past the good stuff and into the hard! I wrote a Thanksgiving article last year that sums up pretty well what I am hoping to accomplish this year. Thanksgiving is just around the corner and along with the turkey and the stuffing comes the spirit of thankfulness. We will gather with family and friends, bow our heads over tables ladled with delicious foods and offer up our thanks to the creator of the universe for all of our many blessings. But what if this year we offered up a prayer of thanksgiving for the hard stuff. 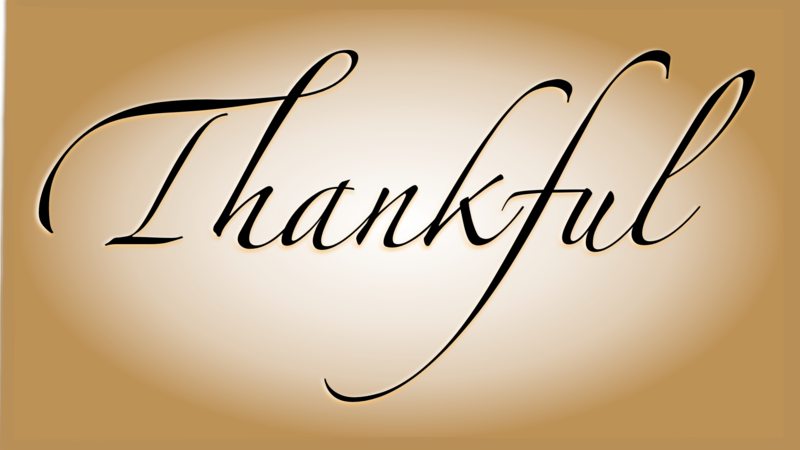 What if we decided that this year we would take our thankfulness to a whole new level. It is so easy to thank the Lord for health, home, children and friends. But I have learned that it is not our blessings that make us who we are, it is our trials and tribulations. So what if we were to thank God for those. My family prays over every meal and thanks God for his provision and yet I have never stood at a sink of dirty dishes and thanked God for that same provision. I have bowed my head in humble thanksgiving for my children and yet I have never stood before a pile of their laundry with joy in my heart for them and the messes that they make. I am grateful for my husband and our home and yet while fixing dinner for the nine hundred and ninetieth time there is no song of worship on my lips or in my soul for that matter. I rejoice and thank God for every mountain top in my life and do my best to forget the valley that I trudged through to reach that peak of praise. But I desperately want this year to be different, I want to examine my trials and find in them not good, not joy, but thanksgiving and praise. I want to be like Paul and rejoice in my tribulation because it has done something in my life that nothing else could have done. It drew me closer to God. The Valley of Death is dark but it allows us to see that Jesus is the Light. Having nothing in the bank and no job is scary but it shows us who owns the cattle on a thousand hills. Sickness is humbling but it teaches us that there is still power in the name of Jesus. Heartache and betrayal are devastating but they bring about the realization that God is just a whisper away. There is praise in the diagnosis, there is victory in the tribulation, there is thanksgiving in the hard stuff. We simply must choose to see it. God is a God of restoration. I'm so happy for you and your family. I pray that I never ever forget that I wake up everyday in a miracle! OH MY GOODNESS! Can You Ever Forgive Me?